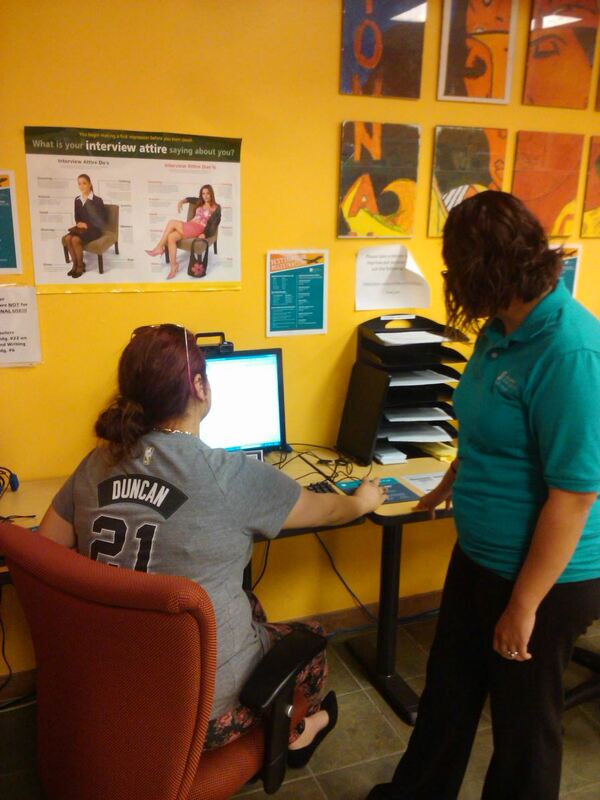 Veronica Sandoval, peer adviser, helps a student use PAC Connect in the Career Service Center. Photo by Deven Malone. Summer internships allow students to gain work experience while pursuing their degree. Internships help build student resumes and increase their chances of being hired. While interning students receive job training and gain new perspectives into their future career field, internships also help students make connections with employers in their field. Employers are looking to hire students with degrees and job-related skills. Internships are the way to gain these skills. “In today’s job market, coming right out of school with no job experience could lead to longer job searches despite academic achievement,” said Brandon Espinosa, college recruiter and culture fit panelist for Blinds, a Fortune 500 company. Espinosa said interning gives students insight to their future career and a chance to see their degree at work. It is an opportunity for students to learn the skills needed to excel. He encourages students to keep a portfolio of all projects worked on and skills learned while interning. As a bonus, the internship might land you a full-time job in the future. “If there’s a position open within your realm, it makes sense to keep the intern on full-time who’s already accustomed to the company,” said Espinosa. Students should also use their time as an intern to build connections and network with colleagues in their field. Chacon also said that his internship made him more marketable. Career Services, located in the College Student Center (CSC), Room 101, has staff available to help students find internships and prepare for interviews. Career Services help students create resumes and sharpen their interviewing skills. Students may schedule a mock interview with the Career Services Team to practice before their actual interview. Optimal Resume is a tool available online that helps students create, manage and share resumes, cover letters and websites. On the Career Service website, students can search jobs and internships posted by more than 100 companies through PAC Connect. All Alamo Colleges and surrounding four-year universities share these resources. She explained that working together with other schools offers more connections, creating more job leads and internships. She explained that getting specific job experience will launch students toward their goals in their career field. Visit Palo Alto College Career Services for more information, or drop by their office in the Student Center.